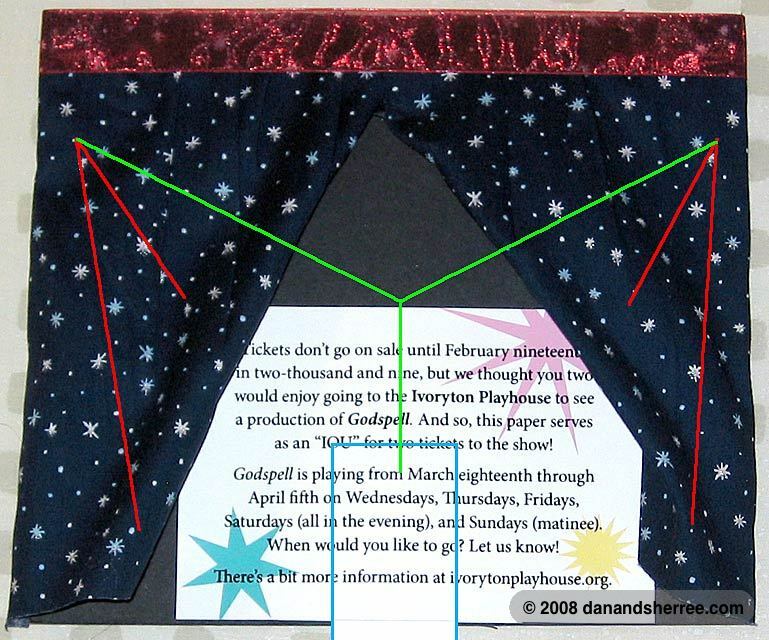 My idea was pretty simple: to create a “stage” where opening the curtain would reveal the tickets. 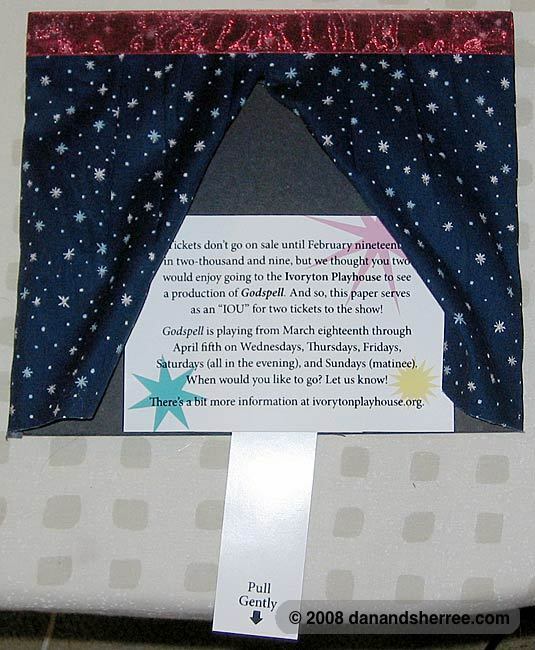 I wanted to make this mildly interactive, where pulling a tab would open the curtain, and this is the part that required a little thought and effort. I should note that we didn’t actually give them tickets — we gave them an IOU for tickets, because they don’t go on sale for a few months. So the insert was a note about the show along with the showtimes. I started out with a piece of heavy black matboard. This gave the piece some weight and made it inflexible. This was important because pulling on the tab to open the curtains puts quite a bit of stress on the piece and using something lighter would have meant it collapsed. 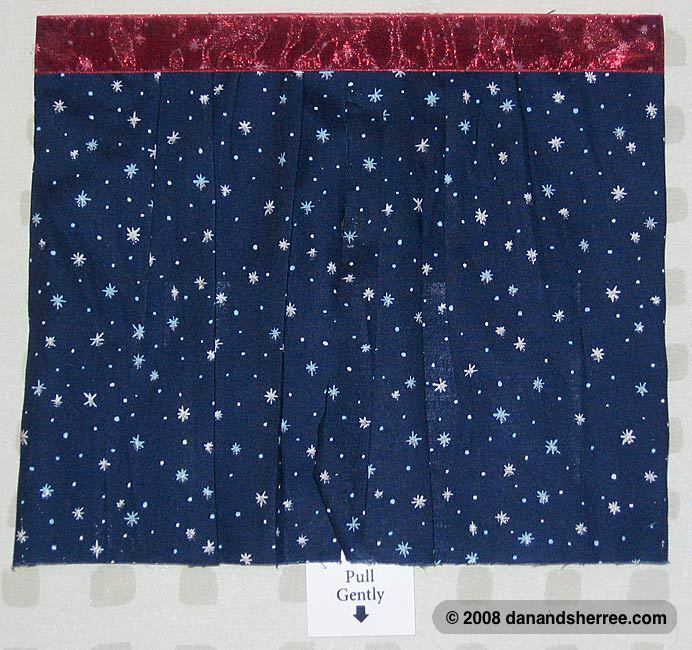 I cut two pieces of fabric to use as curtains and hot-glued them to the matboard. I used some fat red ribbon to decorate the top to make it look more finished. That’s about it! I had to be careful to keep the thread taut when assembling this so that a slight tug on the tab would start to open it, but not so tight as to have the curtain partially open even before opening. The curtain doesn’t fall closed so this was a “test and reset” project where I pulled the curtain back into place each time. 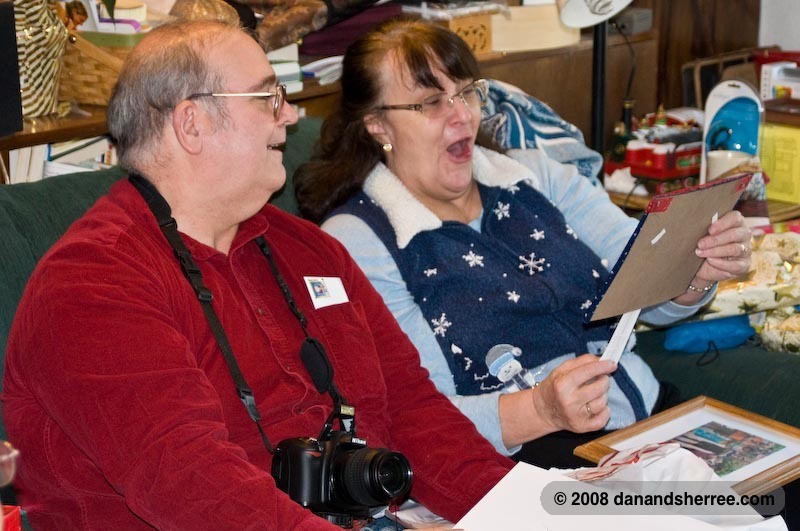 As you might imagine, this was well-received!